These beautiful champagne flutes feature swimming fish etched into the glass, with one fish swimming the opposite way. 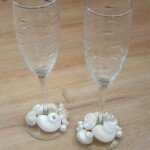 The flutes have gorgeous polished ivory nautilus shells and pearls which I arranged and secured around the base. 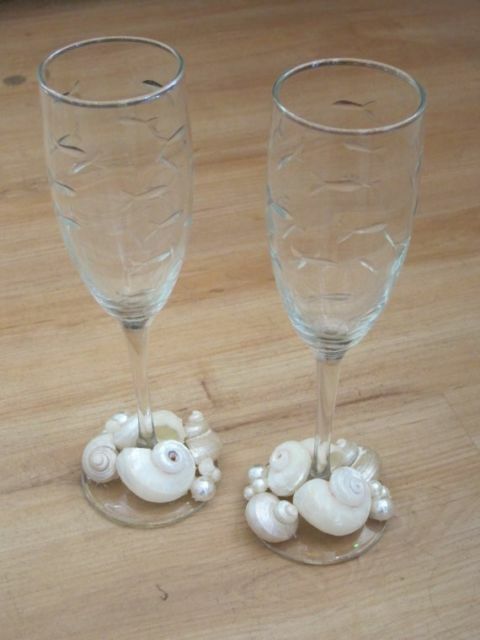 Your beach wedding toast will be even more special with these champagne flutes! Makes a wonderful gift for the bride and groom too!